No, dogs in China does not ever end up in the cooker ! Adopting a dog has become the dream of many Chinese citizens. 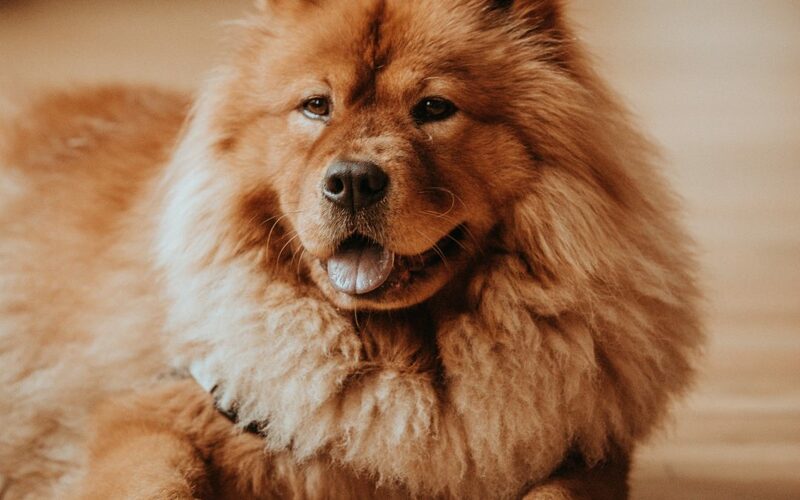 This article aims to present the dog breeds mostly chosen by Chinese and the many socio-cultural reasons at the heart of these choices. 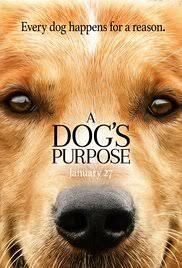 The American movie A Dog’s Purpose was a hit in China, where the society fresh access to leisure and got purchasing power, making city-dwellers feel like owning a pet. This is not the only movie promoting canids around the world: Hatchi’s adventures also deeply moved the Chinese public and widely popularized the Akita Inu race. Each culture has its own world representations. This reality is flagrant when it comes to choosing the breed of its dog: Chinese owners do not favor the same breeds as Westerners, an evidence due to many socio-cultural factors. First, the climate. China is a vast territory containing arid and snowy areas where the barometer goes down far below zero, as well as tropical zones where the heat wave and the monsoon follow one another in summer. Logically, dog breeds must be able to withstand these extreme temperatures. Indeed, few dog breeds adapt successively to extreme heat and cold. Big dog breeds like chow-chow and Newfoundland are all very visible in major Chinese cities. Sled dogs such as huskies, Samoyed, and Alaskan Malamutes are prized for their elegance and high price, proof of the good taste and large income of the owner. Little secret: those dogs very close to wolfs aren’t able to bark. No headaches with neighbors about a poorly dressed dog barking as soon as you ring the bell! 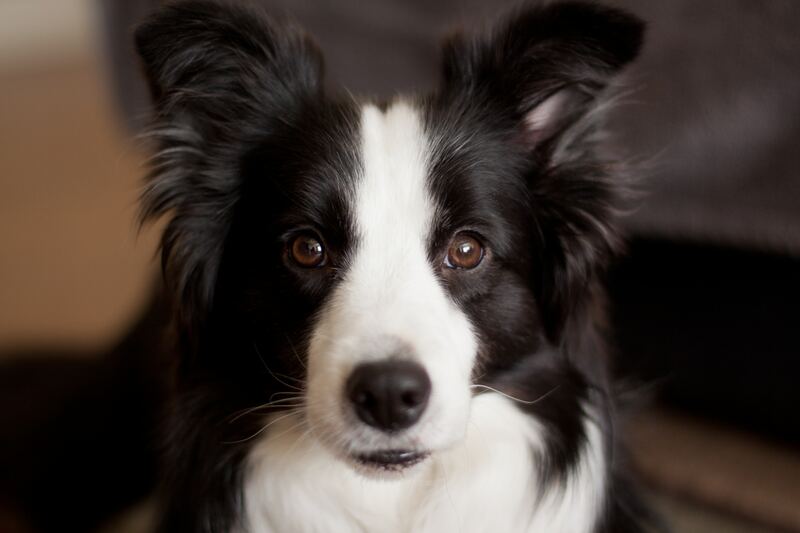 The good compromise often encountered in Zhejiang Chinese cities is a border collie: owners do have quite modest incomes but are more ready to devote time for their companions’ outing. Physically, that dog is a mix of aesthetic values: his black and white hair for yin and yang symbol, he is tall and bushy like a primitive but fine like a husky, he is in addition very affectionate and full of goodwill. Second, the social representations. China is in this phase of bling-bling consumerism where a material good must be big to be seen. The purchase of a dog follows this logic: a big dog imposes, his master will get more respect and it is also an outside sign of wealth that “give face”. The most emblematic example is the Tibetan Mastiff, a hairy mastodon used as a watchdog and sold at a high price. For a particular culture’s concept of aesthetics, Chinese appreciate primitive looking dogs. The Tibetan Mastiff became a symbol of the territory. Third, the owner’s living place and its expectations. 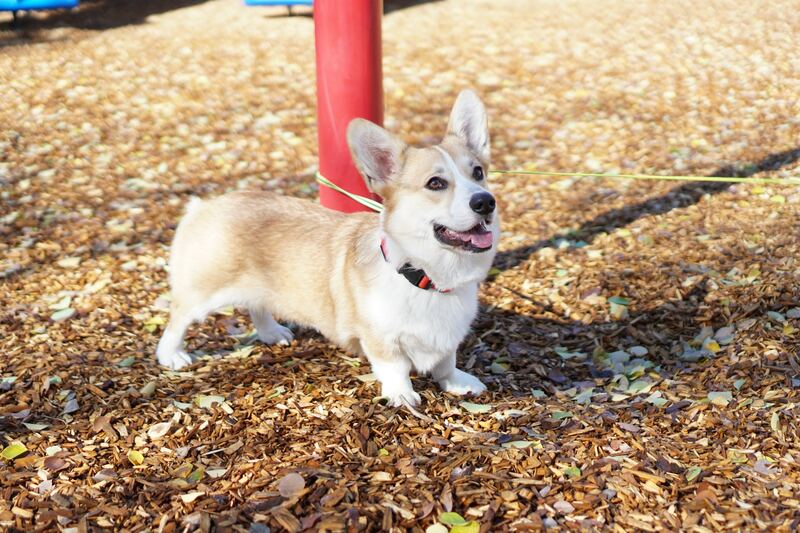 Chinese who have the financial means to buy a breeding dog are the townspeople of big cities. City dwellers live most often in small apartments in outlying urban areas, often in collocation. The way to their working place often takes more than an hour by subway, as it is the case in Shanghai and Beijing. The time spent on animal’s outings is consequently reduced, as is the available living space. 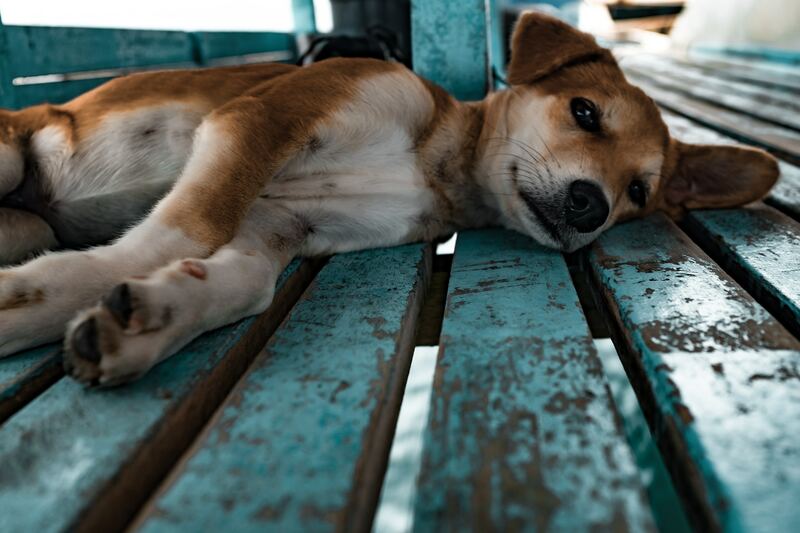 Many city dwellers feel the big cities loneliness and get themselves a pet dog. 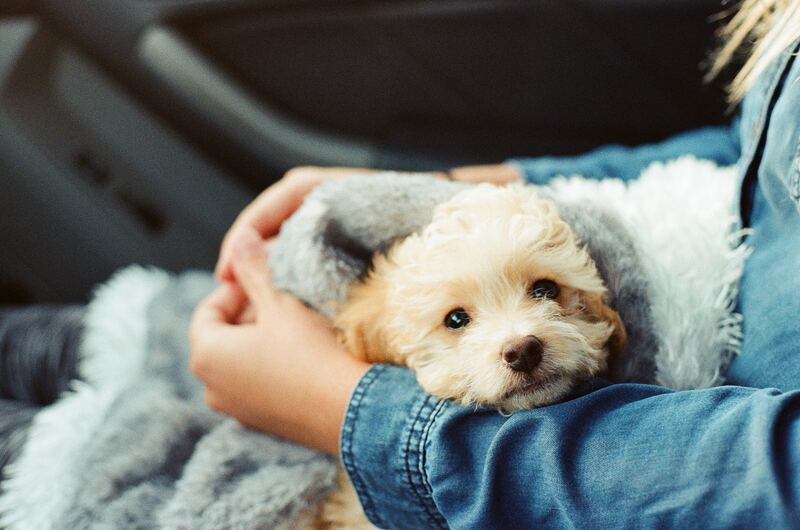 The opposite trend is then observed: poodles, terriers and miniature dogs are the favorite breeds of city dwellers. The mini-pet is then treated like a little soft toy: carried in a baby bag, dressed up with coats & shoes and carefully kept at home except for a grooming session. We previously talked about the tropical climate in China. Most dogs are fully mown in the summer to resist heat. 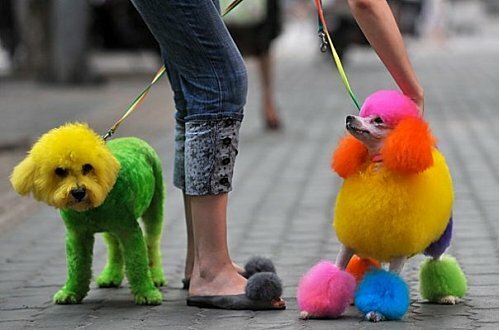 Dog mowing is a big trend in China, as is hair coloring: some ignorant owners confuse canine welfare and style by letting shave some of their dog’s body parts and not others, even by dying their poodle’s ears and tail in purple for a rather crazy result. It is not as common in China as it is in Europe to read pet coaching books, nor to go to training with a dog handler to complete the animal’s good education. The dog’s status is China is evolving and catching up on Europe as fast as possible, but this learning cannot be without hiccups. Chinese owners are generally very concerned about the well-being of their companion. Unfortunately they lack reliable information references and they let themselves being fooled by veterinarians with a strong sense for trade, assuring them that wearing a dog coat and small slippers will ward off infections, or that a small pet can perfectly stay alone in an apartment all day with a litter box and sleep in a rabbit cage. Life of Chinese city dogs is often closer to that one of a hamster than the one of a real dog, needing to run out every day. 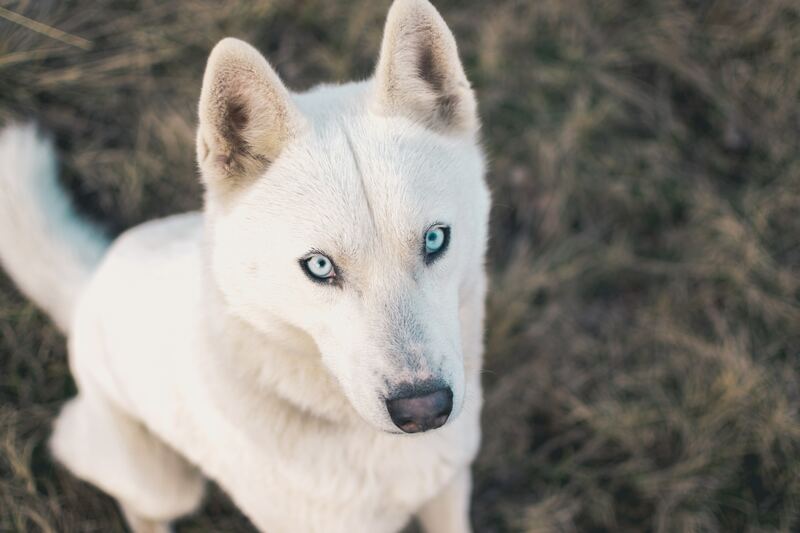 Gaps in dog training are common: barking all-day, anxiety, aggressiveness … A real problem when a husky walks his master and not the contrary, for this kind of dog breeds with a strong primitive instinct requiring a firm training. Dog products is definitely a market to improve. In our next article, we will analyze furthers the needs of dog training schools and pets quality products in China, as well as pets treatment. Wonderful article!! I am impressed by your blog, and here I gain the informative information. You write here great information. Thanks for sharing this blog.